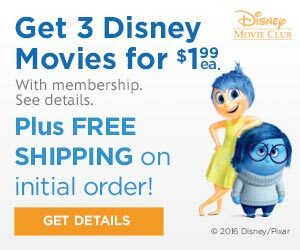 Disney Movie Club: Get 3 Disney Movies for $1.99 each. Plus FREE shipping on initial orders. Huge selection. Great deal. Check it out.